Taking you back to the days of old school garage raves, Reebok Classics and gold chains, FRANKO FRAIZE reveals the retro visuals to his latest single ‘Lines’, alongside Great Skies via his VEVO channel. 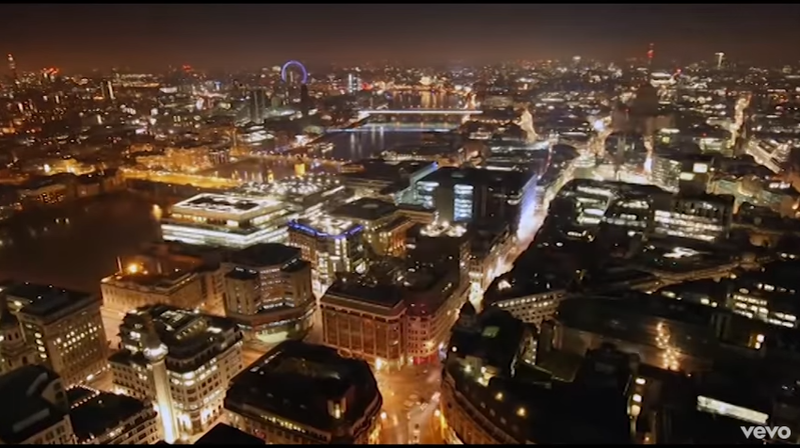 The blurry video captures the bright lights of London’s skylines and the essence of the night life that used to fill the city, while complementing the laid back garage style beat from Great Skies and Franko’s unmistakable vocal. The track has generated support on BBC Introducing across Kent, Norfolk and Suffolk and Franko has just played a show with UKG legends Oxide & Nuetrino. He will also be performing in Ipswich, Swindon and Norwich at Tropico alongside Ghetts this month. First broadcast by BBC Introducing in Kent, ‘Lines’ draws on influence from the UK electronic music scene and showcases Frankos’ vocal delivery over a melodic laid back beat from the Great Skies. The lyrics detail the exhilarating feeling of throwing shapes on a night out until everything starts to blur. Known as the “voice for the everyday”, he talks tales of everyday life that resonates across the board. His lyrics and presence are archetypally English and strike a chord with many a listener for their charm and wit. Last year was phenomenal for the charismatic rapper from Thetford, seeing him support Rudimental and Chase and Status as well as completing a busy festival period that included the 1xtra stage at Reading & Leeds festival.